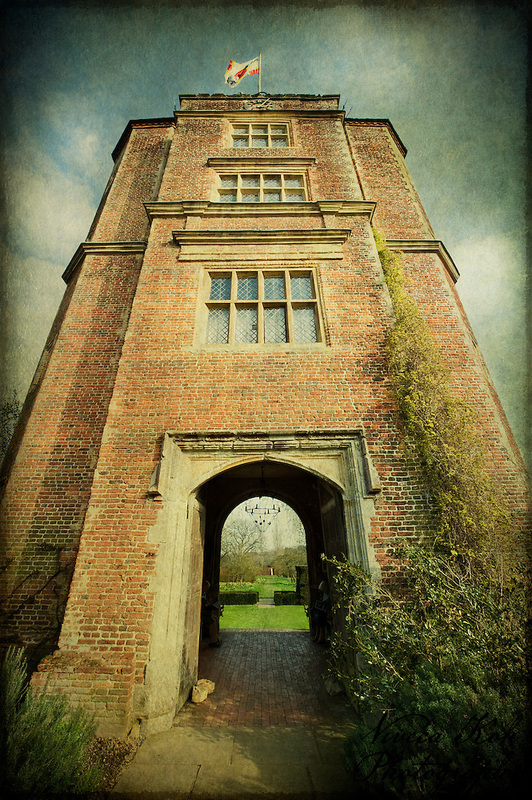 Another view of the Elizabethan Tower at Sissinghurst Castle Garden in Kent, United Kingdom, to link to my previous image ‘Magic Castle’. This one features three separate textures to enhance and colour various sections of the image, which was shot on a sunny Spring day, so I wanted to warm up the bricks slightly in order to really emphasise this, and I also removed some of the texture over the clouds to retain their whiteness. I hope that the overall effect is much like an oil painting. This entry was posted on Monday, November 7th, 2011 at 22:33. It is filed under Lectures & Projects, Textured Photographs and tagged with Digital Image Manipulation, Fine Art, photograph, texture, Textures. You can follow any responses to this entry through the RSS 2.0 feed. The structure of the tower is beautiful! Suzanne Grey recently posted..How Can Hydrocodone Abuse Effect You? Love your long lines of the tower and vignette processing. There’s something very mystical about this photo.